Explore the streets while listening to memories of Weymouth and Dorchester. 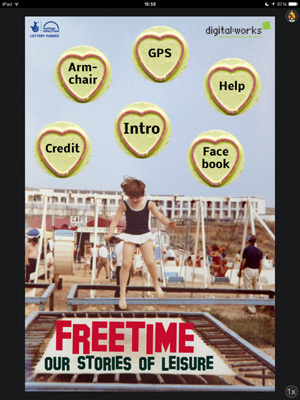 This app contains recordings of interviews with local people in Weymouth and Dorchester as part of an oral history project that studied the changing nature of our leisure time (www.freetimeourstories.org.uk). 1. Walking Mode (GPS) – You can walk a route around Weymouth or Dorchester hear memories triggered by your GPS location. 2. Armchair Mode – You can choose this mode and browse the stories from your home wi-fi, or when the GPS signal is weak.